On a recent hike, Brian Green told me about a book called 50 Dangerous Things (you should let your children do) which obviously sounded fun… He told me that he and his children had went through it together, and that it was exciting, so after I got back from the hike I told my children about it. Of course they thought it sounded fun too, so I headed to Amazon and placed an order for the book. 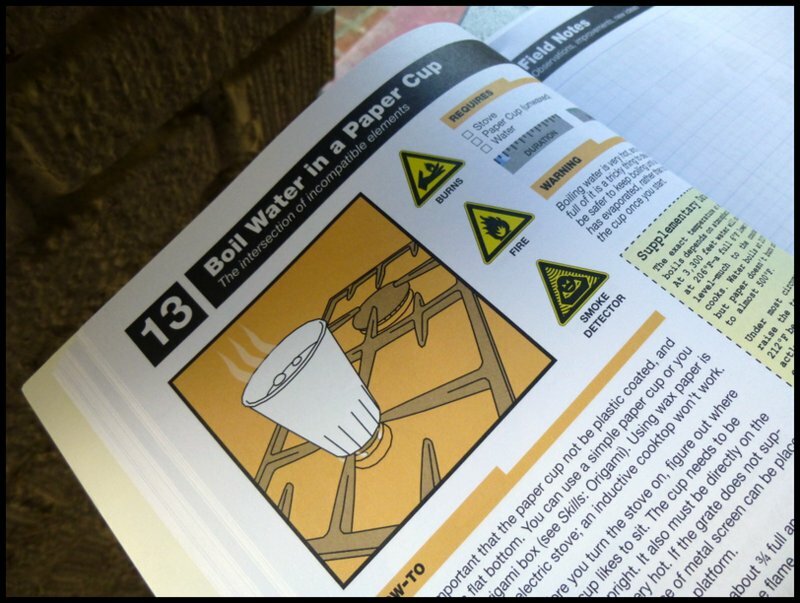 So, have you had any experiences boiling water in a paper container? What were the results? 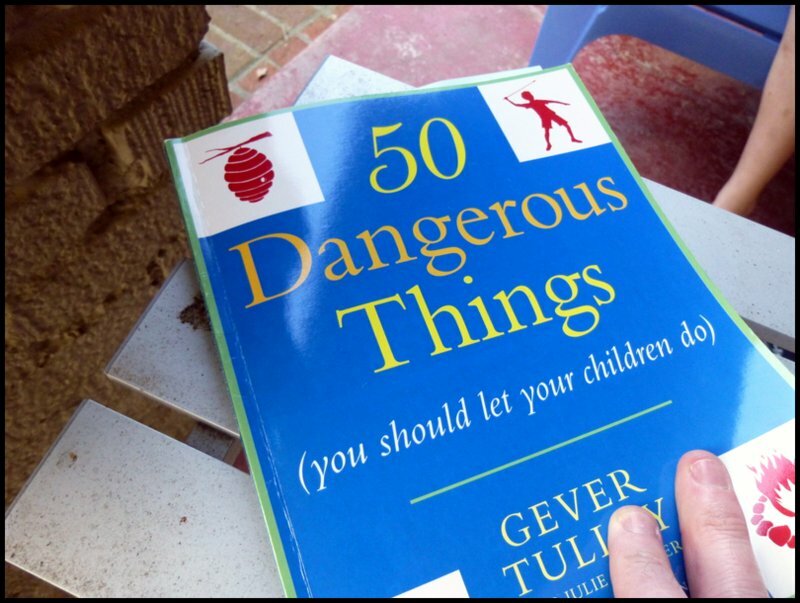 Disclaimer: I purchased the book 50 Dangerous Things (you should let your children do) with my own money. 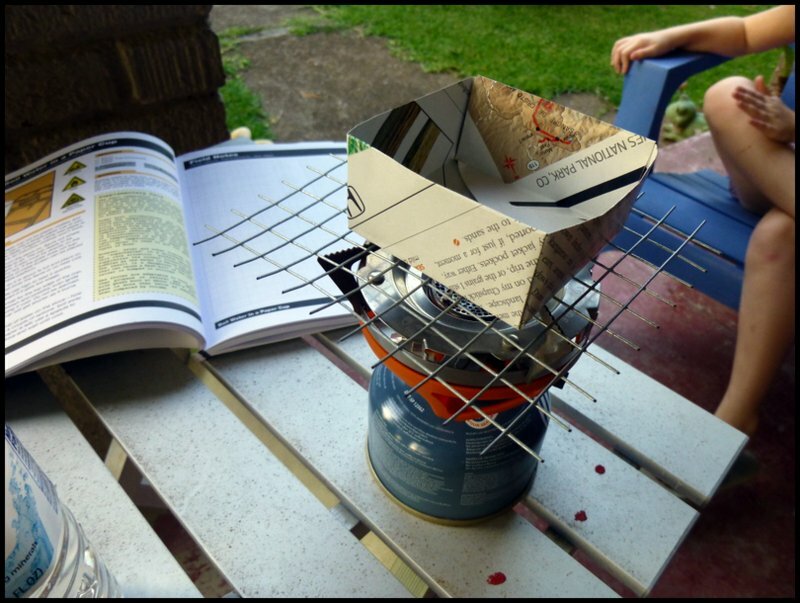 This entry was posted in Cups/Mugs, DIY/MYOG, Stoves and tagged Boiling Water In A Paper Cup, Jetboil Stove, Origami Cups, Paper Cups. Bookmark the permalink. My brother and I went on a three day backpacking trip and we only brought paper bowls to do all of our cooking. We used one bowl for a pot to boil water and one for a lid. After we cooked we each had a bowl to eat out of and we burned the bowls after each meal – no dishes to clean! It was a fun experiment, but sense then we have stuck to more conventional pots. Thanks for the great blog! I have been told that this is also possible with a cup shaped leaf and a campfire, though I have to admit I had my doubts that it was true but if the principle holds, this experiment would indicate that it is possible! Isn’t science so cool! That would make sense. From what I understand, as long as water is in contact with the “pot” then it will be ok, unless exposed to some very high extremes maybe? I remember doing this in a paper bathroom cup on a campfire during a Scout trip 20+ years ago. I don’t remember the bottom of the cup burning at the beginning, but I do remember that the top of the cup burned down to the water line. As the water boiled off, the cup kept burning down to the lower water line until it eventually burned down to the bottom of the cup. Anyway, thanks for stopping by and commenting!